This essay reflects upon the interculturality of spectatorship: How do we relate to what we watch, when a performance foregrounds and implicates the particular cultural position from which we are watching, with its values, habits, and limitations, all of which define what we are able to see? What part does the spectator play in the staging of an encounter between Shakespeare and Asian forms and worldviews? c) I note details of the different costumes, gestures, vocal styles, both for how these re-create and resemble the roles of King Lear (I am quite secure in this identification), and where they depart from the conventions of the Asian forms (I am less sure of these). d) Above all, I am acutely aware of the grand display of Asian forms as defining and staging a unique presentation, equally unfamiliar in English Shakespeare or Asian performance traditions. I thus watch this production from parallel inside / outside positions, at the unstable interstice of a passage I make back and forth between Shakespeare’s original and Asian theatre traditions. Neither King Lear nor any of the Asian forms is fully present on stage, but mentally invoked by the connections I make between them, and in the process I alternate between seeing each from the other side. This interstitial position would be different from one spectator to another, changing as the production toured to a different country (LEAR was subtitled in the majority language of each venue), and is a spectatorial position peculiar to the demands that intercultural performance makes on its audiences. So concurrently, I am aware of the margins of my own reaction, that those around me in the audience of the Singapore performance are watching and hearing with distinct differences from myself—the friend I attended the performance with, who was educated in Chinese rather than English like myself, found the Older Daughter very uncomfortable to listen to, as (he said) her expressions violated Chinese conventional norms of appropriateness. No doubt the gaps between how I react to what I see and another spectator’s reaction widen and proliferate with other audiences abroad, and I am conscious that while these reactions are unavailable to me, they contextualize mine. The spectrum of possible responses to any text, artefact, or performance is necessarily marked by cultural difference, and Shakespeare scholarship is especially accustomed to plural, contestational viewpoints on performance no less than on the texts. What is unfamiliar in intercultural productions such as LEAR are the ways in which the staging of cultural difference—between Shakespeare and one or more Asian performance styles, and / or between these styles—materializes, activates, and brings into play each spectator’s own cultural coordinates, which are defined by relative affiliations with and alienations from the forms and the cultures they stand for, by shared histories and languages, and by investedness in the aesthetic values of particular theatre traditions. These differential coordinates, each set at once shifting and co-present with other sets, not only entail variable, plural viewpoints, but call up systems of value and meaning by which one evaluates a performance’s worth, and embodies a stake in the terms of that worth. Hence the spectator’s reactions complete the on-stage intercultural transaction; or, to put this another way, each individual response forms a point in the circuit by which Asian Shakespeare performances travel. What needs to be developed are ways of accounting for the cultural subjectivity involved in thinking and writing about these responses. Probably the first premise one encounters when discussing Asian Shakespeare is the assumption that Shakespeare’s plays are universal in meaning, if not in language, and that the production one is watching is not altogether a different play, but a different form or aspect of the same one. Even productions that diverge widely from Shakespeare’s play can be treated, as English Shakespeare-related plays and films are, in terms of a response to it, and as part of its ambit of influence. In this way an Asian production extends or enlarges Shakespeare’s universality precisely by its particularity. Over the course of a year, performances of all 37 plays (some in double productions such as Richard III) by companies from around the world were gathered under the umbrella of the RSC at Shakespeare’s home, assimilable by home audiences and sur-titled in the home language. By comparison, an online archive of the present kind is a similar enterprise in collating diverse Asian productions under one roof . The mediation of performance through the digital medium on the worldwide web, however, globalizes these productions, virtualizing live performance as media materials, and geographical locations as language groups. Potentially, the performance materials hosted on this site can be assimilated, too, into a narrative or schema using the accompanying tools, but in contrast to the RSC Complete Works Festival, the dispersal of centralized authoritative control by a producing agency shifts the emphasis from production to what reception and critique can make of performances. The drop-down menus for multiple-language translation of the scripts, the search functions and interactive capabilities all employ the global medium of the internet to extend reception across cultures and languages. Such digital processing recognizes that intercultural Shakespeare performances and spectators are part of the globalizing of Asian theatres today. Asian intercultural production brings into view the ways in which the performativity of Shakespeare’s universality has developed since the notion was first circulated in the interests of British colonialism and as a consequence of Western imperialism. Now, it allows Asian theatres to travel better. As a necessary construct and enabling condition, the premise of universality provides for Western audiences to watch foreign forms that may not otherwise come to their theatres, and / or that they would not otherwise go the theatre to see. Especially where Shakespeare’s plot is closely followed, the assumption that his play and this performance are parallel versions of each other allows the spectator with some working knowledge of Shakespeare’s text to compare them, and conduct his or her own reversible translation of one into the other. [Translation and Watching] Correlatively, for producers and directors, Shakespeare’s universality as a global brand and name acts as a vehicle of international mobility and accessibility for their theatre forms and the theatre company’s or director’s own brand identity. Yet such translative modes of relating to the performance and understanding it do pose problems for discursive models. Whereas Shakespeare may function as a universal, the kinds of meaningfulness that Anglo-European Shakespearean scholarship and performance conventions generate do not. For instance, critical approaches to the mode of verbal soliloquy, through which a character such as Macbeth is understood, are less useful for understanding how the more presentational dance-drama modes of Asian traditional forms operate, and for assessing the specific choices made by a production in order to transpose Macbeth to a character type in such a form, or to adapt modern realist conventions of acting. Logically, the interaction between two theatrical modes in a performance requires an equivalent interculturality of critical approach. The note of comicality in the Macbeth character here is unexpected to a spectator habituated to contemporary English-language performances, as is the spectacle of his physical gestures and dance movements. While it may be possible to translate this moment into the thematic, metaphysical and socio-cultural terms of characterization operative in Shakespeare performance criticism, with some modifications, it would defeat the purpose to watch a Beijing opera adaptation of the play as if it were, say, the RSC. How might one understand and assess the interculturality of performing Macbeth in this production other than as a translation, either of Shakespeare’s play into Beijing opera conventions, or vice versa? Critical approaches to thinking interculturally about Asian productions of Shakespeare are contextual and comparative. 1) A number of country-based historical surveys foreground the uses of Shakespeare in twentieth century socio-cultural movements that arose within the larger political changes in a country (Li, Minami and Carruthers). These accounts contextualize and historicize the intercultural strategies of recent productions as directions originating within the theatre history of the producing culture. 2) Formal comparisons between Shakespeare’s dramatic and theatrical mode and Asian theatre traditions such as kabuki or jingju (Zhang, Brown, Kishi) focus on compatibilities and affinities (more than divergences) between the plots, aesthetics, and conventions of Shakespearean theatre and pre-modern Asian forms. 4) Popular Asian performance genres and styles for adapting Shakespeare are relatively neglected by scholarship in favour of the pre-modern. Whereas internationally, interest in an intercultural Shakespeare has focused largely on the matching of Shakespeare to traditional art-forms, productions in popular genres have remained more locale-specific in their reach, such as the all-female Takarazuka Revue Company’s Rome at Dawn (based on Julius Caesar), or the Golden Bough Theatre’s Taiwanese opera styled Romeo and Juliet (2004). This ironic lack of critical attention to already-hybridized popular forms, with established strategies for mixing Western and local elements well before the current “intercultural performance” trend, indicates the scope for re-examining models of intercultural theatre generally, and intercultural Shakespeare in particular. 5) Hybridized, transnational and transcultural styles suggest that an important way of thinking about intercultural Shakespeare performance – and performativity – lies not in how cultures, thought of as discrete entities, combine through their forms, but in how his work and status facilitate the circulation of aesthetics and other authors. Recent Asian film transpositions, such as The Banquet (dir. Feng Xiaogang, 2006, loosely based on Hamlet) Omkara (dir. Vishal Bhardwaj, 2007, based on Othello), Gonzo’s anime series Romeo X Juliet (2007) expand the potential of this approach. 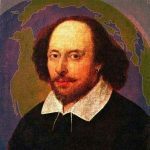 How do listening, reading, and watching relate to each other in Asian Shakespeare performance? The visual, physical, and sensory force of Asian stagings of Shakespeare, together with the foreignness of their language when they travel abroad, have generally cast the performance of the script into shadow. The relative weight that the performing body carries over its words is appropriate to the more presentational arts of Asian theatres (in song, dance, movement, costume), and to the striking new ways these create for apprehending Shakespeare’s predominantly verbal drama through the senses. Greater attention to sensory cues is also inevitable where one doesn’t follow the language, and a norm of contemporary visual culture in which watching takes precedence over listening. Yet translation of the script on screened sur-titles, that enable the foreign spectator to read what is said or sung, plays a significant role in enhancing the international mobility of intercultural productions. While the now standard practice of sur-titles is usually regarded as simply functional (as in the sub-titling of films), I outline below several ways in which a language / body binary is triangulated by the doubling of speech in the performance of translation, that forms the third point proper to an intercultural performance of work renowned for its poetic language. a) Reversibility. Conventionally, sur-titles are a second-order text that translates live, direct speech; they act as a reminder that one is apprehending the action at one remove. Yet since here the sur-titles present Shakespeare’s text, not a counter-translation of the Japanese translation of it, they frame what is being spoken as translation of a prior text, and thus create the effect of an on-going two-way translation being enacted. b) Authentication. In presenting the original, the sur-titles act as a guarantee of the performance’s authenticity. Yet so long as one understands that he has just heard of her death, it is not essential to know what he says, because there is a great deal to watch. The sur-titles are often superfluous to comprehension, since the density of Shakespeare’s language is difficult to read at the speed of stage delivery, and as Kennedy points out, is increasingly alien to English speaking audiences today (17). In effect, a spectator unfamiliar with Shakespeare may find himself / herself little the wiser for the sur-titles. The unique, memorable stage images this production offers are presented alongside verbal language, separated from the spoken action by the presence of Shakespeare’s text, which, equally, throws into relief the tonal patterns and delivery of his words in the voice of a different language. d) The performance of translation in sur-titling can participate directly in the intercultural transaction between Shakespeare’s play, the production, and its spectators. Ku Na’uka Theatre Company’s Othello in Noh style (dir. Miyagi Satoshi, 2005) treats language as a remnant of the play after its course of events. Its references to foreign language foreground the fiction of Japanese actors playing Venetians on Cyprus, where the ghost of Desdemona lingers. Here the sur-titles perform the essential function of giving the non-Japanese spectator information about the framing situation. In the process, they also insert the location – or the language community – of the specator as a point in the routing of several cultural estrangements and displacements: through Japan (where the production was imagined), Cyprus and Venice (imagined by Shakespeare), and around the world (on this site) in English or Mandarin (depending on the audience). Once translated, the imaginings and memories of race, culture, and belonging re-double. e) If sur-titling primarily enacts a bridge between a performance and an audience, its structural principle of including the spectator’s watching position as part of the performance can be infinitely extended. In TheatreWorks’ Desdemona (dir. Ong Keng Sen, 2000), multiple screens and marginal performances threaten to overwhelm the “central” story of Othello and Desdemona, by confronting not only the spectator’s linguistic, but also cultural, understanding of an Asian re-enactment of Shakespeare’s play. Roughly equivalent to Desdemona’s willow song scene in Shakespeare’s play, here the doubling performance of translation is expanded as the primary figure of the intercultural: Desdemona’s consciousness is ironically parodied by the mouth of a contemporary Mona shown applying lipstick on one of the screens (created by a video artist to the side of the main stage); the male Korean musician’s singing articulates Desdemona’s soundless mouthing; and reading the sur-titles that translate his lyrics is disrupted by an e-mail being typed, that questions the intercultural process from a performer’s standpoint. In thinking about the interactivity between language, translation, and the body in Asian Shakespeare performance, one invariably reaches a recognition of the untranslatability of embodiments, that cannot be sur-titled. In the final dance in Ku Na’uka’s Othello, Desdemona re-enacts her own murder using her gloved right hand. a) The power of the actor’s dance to communicate her drama derives from the concentrated, formalized movements of acting traditions and aesthetics that rely less on words than Western theatre, and more on music, movement, and costume for their expressiveness. One need only watch a foreign-language Shakespeare play acted in the contemporary Western realist mode (for example the multilingual production of Ein Sommernachtstraum directed by Karen Beier in 1995) to recognize the difference in a bodily repertoire of gesture, dance, and song. b) Beauty as an intercultural effect is often expressed by reviewers of Asian productions of Shakespeare. This experience of beauty may owe something to the roots of some traditional theatre aesthetics in spiritual / religious belief systems, and to their capability for communication through the senses. But employed interculturally, i.e. removed from the functions and systems in which they are conventional, the body of the actor – and the response of the spectator – are freed from culturally defined significations and expectations, and the dramatic action projects a cross-cultural freedom for imaginative investment.